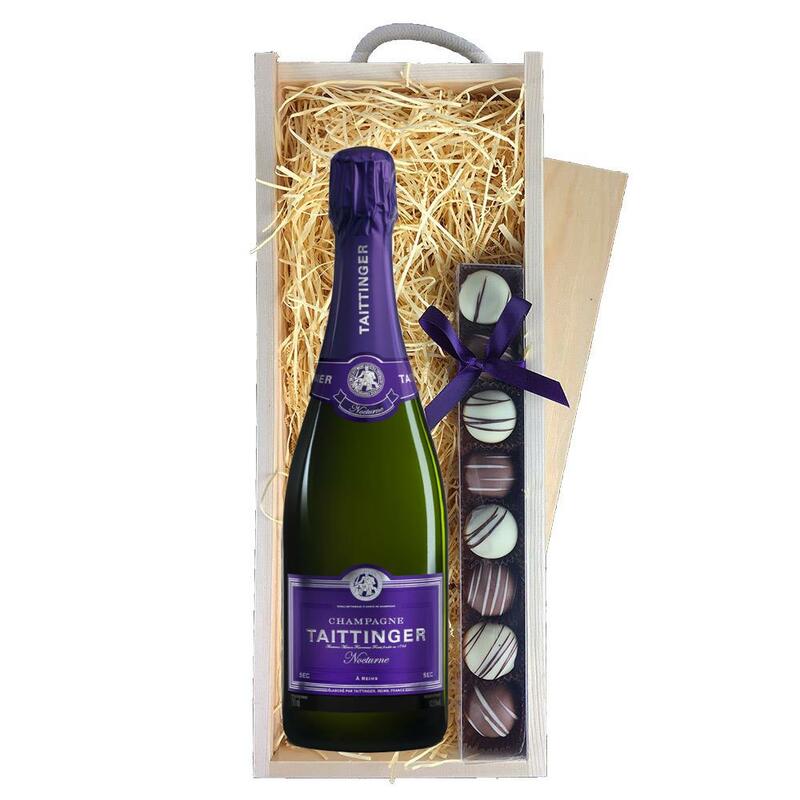 A single bottle of Taittinger Nocturne Champagne 75cl 75cl and a single strip of fine Hand Made Heart Truffles(100g) Presented in a wooden gift box with sliding lid and lined with wood wool with a Gift Card for your personal message. The style of Nocturne makes it ideal for enjoying before, during and after dinner. A pale yellow colour with shimmering highlights. The bubbles form a delicate necklace of fine mousse. The nose is subtle and fresh, suggestive of the delightful aromas of white blossom and ripe fruit, with overtones of yellow peaches and dried apricots. The first impression on the palate is soft and mellow and remains very fresh. 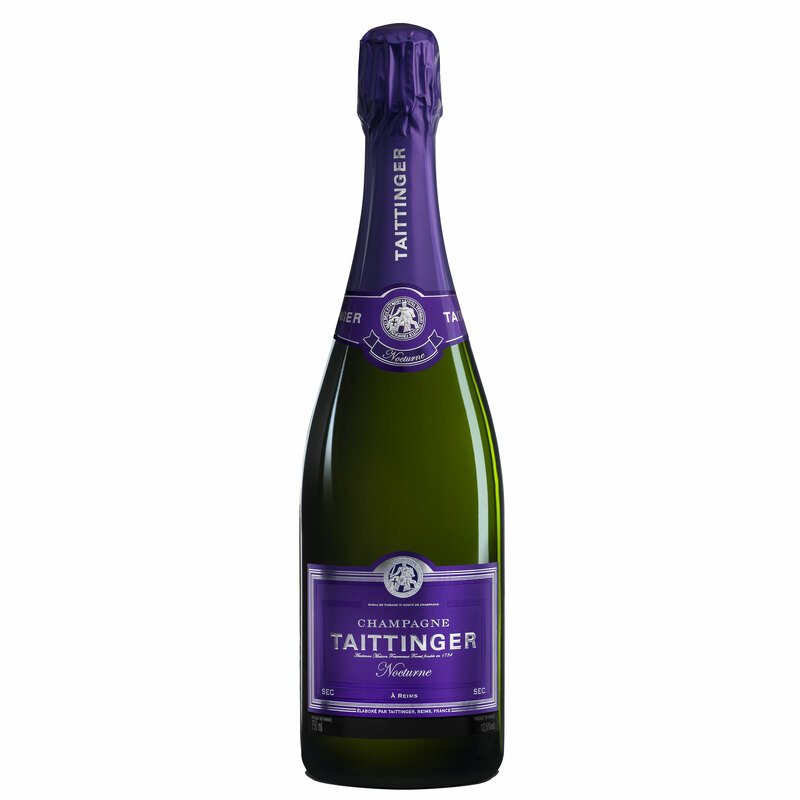 It is dominated by flavours reminiscent of raisins and fruit in syrup. The aftertaste is long and soft with a subtle sweetness. All in all it is rounded, rich and well balanced. This product is hand packed onsite by Gifts International, and is not affiliated with any other brand. Gifts International is responsible for this product combination/set.